Blazer: Target. Sweater: H&M. 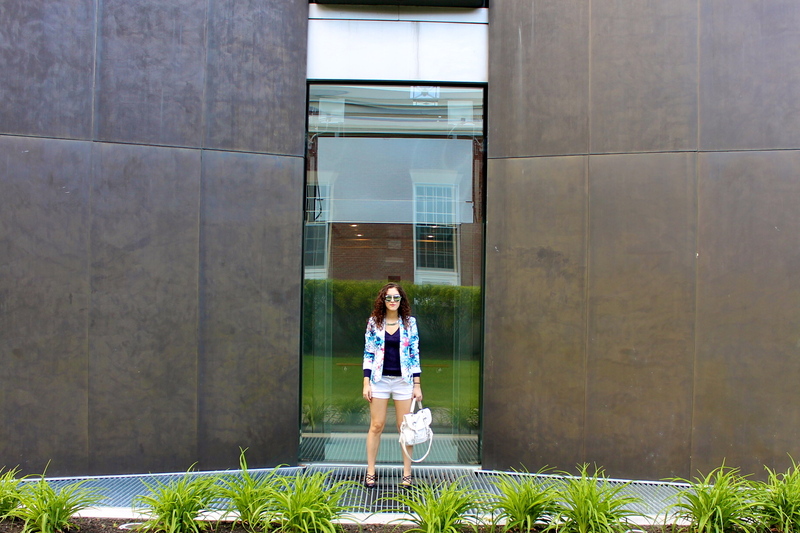 Shorts and Jewelry: Forever 21. Heels: Aldo. Bag: Express. 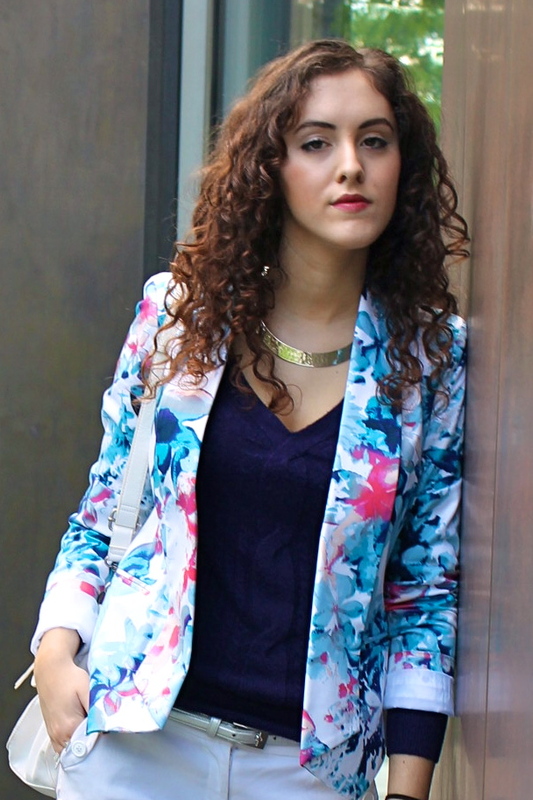 Today I wore my new floral blazer, styled with a deep violet cable-knit sweater and matching pumps. Since the weather was sunny and warm, I wore white shorts for a summery feel. I initially had trouble deciding what accessories to style with this look. First I tried gold, then pearls, then finally figured that silver would best fit the cool tones in the outfit and give an overall sleek, modern style. I recently bought the choker necklace, which was on my wishlist all season. I love it! To finish, I added a simple white tote with silver hardware. Have a great week everyone! This entry was tagged floral, purple, silver jewelry, summer, trendy, white. Bookmark the permalink.